This is NOT a fish bowl nor an aquarium!!! It’s an indoor mini fish pond! 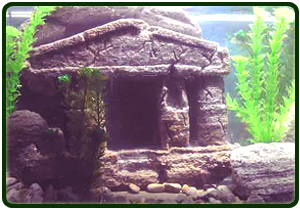 Just add water when needed, feed your fish and once every 4 months do a water change (which takes only 10 to 15 minutes to do) Comes with a back-up foam filter. So easy to maintain anyone can do it!! You will get months of enjoyment just watching your fish play and not having the worries of high maintenance fish bowls or aquariums! Pumice is a volcanic inert rock formation It. Will NOT change pH of water and it does not leach silicates or phosphates into your water. 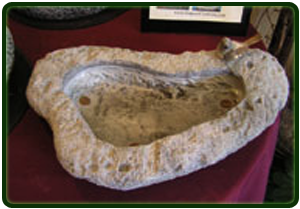 This hand sculpted bird bath is the perfect accent for your garden. The natural appearance will blend into your outside presentation and help to complete your theme. Each is unique and designed for the bathing pleasure of the bird. Three copper pennies are melded onto the bottom to deter algae growth. 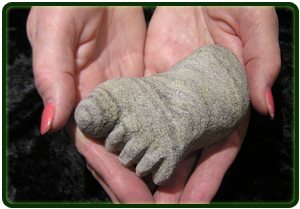 A pumice stone, hand-sculpted in the shape of a foot, made especially for your feet. Yes you can use it like any other conventional pumice stone on other parts of your body, however this one is cupped ever so slightly so that it forms around your heel and the ball of your foot. This way you can gently rotate it in a circular fashion to easily smooth your rough feet. Each and every stone is not only functional, but is also a truly unique piece of sculptured art. All signed by the artist. What a great collectors item. Your Feet Will Love You! 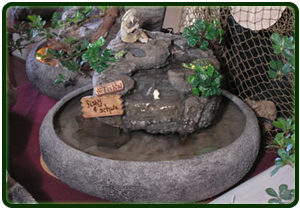 Hand-Sculpted from volcanic rock…. our “Volcano” incense burners are extremely unique. Vented at the top to form the crater for the really cool smoke effect. They are semi buffed to bring out the fabulous colors and to give it a smoother texture. Light your cone of incense and place it onto the tin tray… slide it into the chamber… the smoke just streams out of the top just like a raging volcano… What a cool conversation piece! 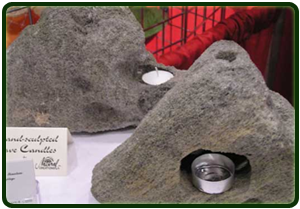 “Volcanoes” can also come with a candle holder sculpted into it for great night time effects. The candles also provides your clients with a way they can light the incense instead of using matches. 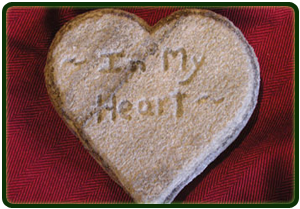 Perfect for leaving a loving message graveside for your loved one… Your heartfelt message is written by you for those loving last unspoken words… It is then encased inside a hand-sculpted heart. This heart warming sculpture is 4″ X 4″. Each and every heart is uniquely crafted by Master Artist Charles R. Kern. If you didn’t get a chance to say good-bye, now you can. 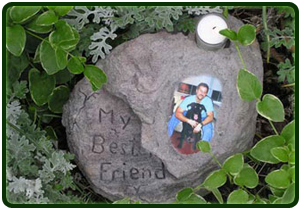 Use them to mark a special spot for your return… photos are sublimated onto a tile which is then inserted into the stone… A variety of pictures can be preserved on tiles so that they can be interchanged as often as you would like!